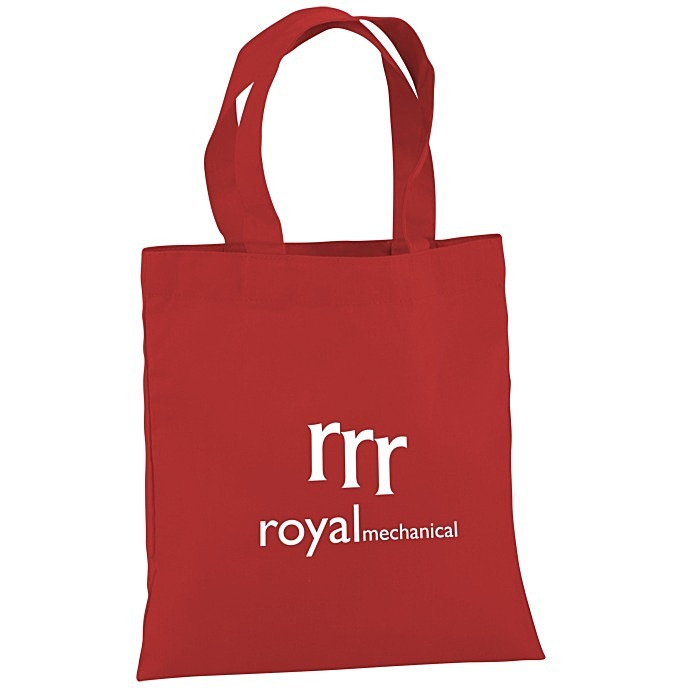 Cotton Sheeting Colored Economy Tote - 9-1/2" x 9"
This imprinted convention tote carries your logo all over town! Comfortable, easy-care 4-oz cotton fabric makes this bag perfect for hauling all kinds of gear. From the tradeshow floor to the library-- this bag has a versatile lifespan! Fold-flat construction ensures easy storage. Several vibrant colors to choose from! Your price includes a one-color imprint on the front of the tote bag. Additional imprint colors/location available for an extra charge. Set-up charge: add $35 per color/location.